The most popular menu at Mister Donut, the major doughnuts franchise in Japan, is Pon de Ring, which is a chewy textured doughnut! It was released in 2003, and total of 1,300,000,000 sold by end of last year. 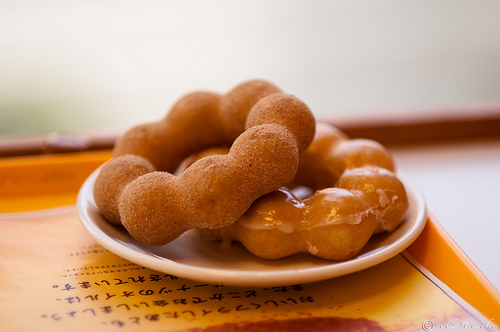 According to Mister Donut, the model of the Pon de Ring is Pao de Queijo, a popular chewy cheese bun in Brazil. 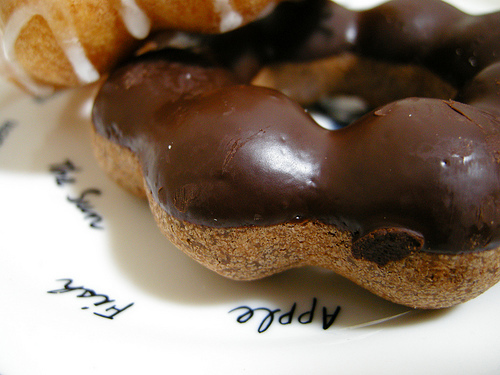 There are various flavored Pon de Rings are available now. The right one in the picture is the original, which is honey and sugar glazed, and the left one is muscovado (known as black sugar in Japan). 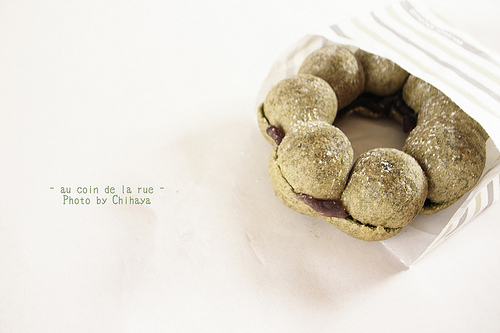 Green tea flavored doughnut filled with azuki paste (sweet red bean paste). 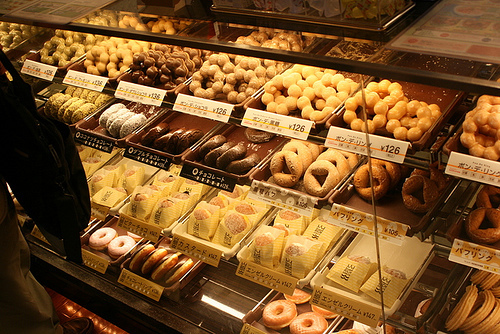 Since Pon de Ring series is the best selling food at Mister Donut, they display them on the top shelf. Because Mister Donut operates in Thailand, China, Philippines, Taiwan, South Korea and other countries, you may have had Pon de Ring but if you haven’t, please try when you have chance!